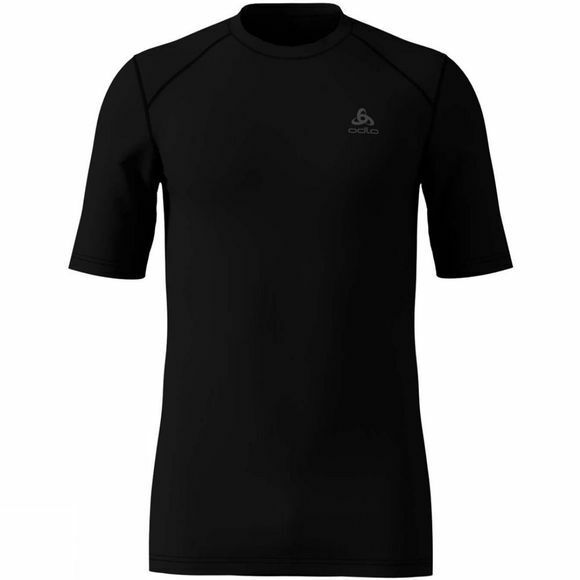 The Mens Warm Shirt Short Sleeve crew neck Top from Odlo allows you to stay fully focused on performance by creating a warm and dry next-to-skin environment during cold weather workouts–this WARM series short sleeve crew neck does the job perfectly. 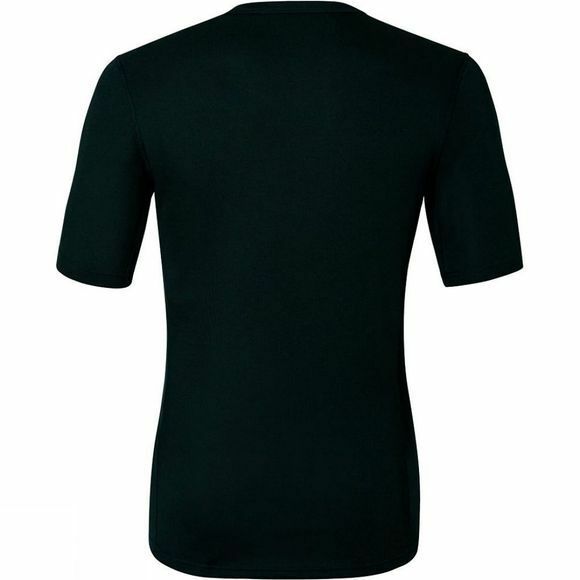 Featuring a soft brushed fabric inner that locks in body warmth and wicks away moisture, it's ideal for high-energy activities in cold temperatures. Meanwhile, flat stitched seams, a longer cut at the back and super-soft material ensure a chafe-free, snug and ultra comfortable fit. Effect by Odlo-treated fibres provide an effective antibacterial defence against sweat-induced odour.